Donato Dozzy is one of techno’s few remaining mysteries. Now firmly established as a heroic figure of the genre, Dozzy has never been as readily classifiable as his peers, and his productions and performances reveal an artist as comfortable outside of the boundaries of techno as he is within them. Throughout his storied career, Dozzy has been content to play whatever and whenever he wants, a freedom afforded to very few artists and taken advantage of by even fewer. When his debut at Amsterdam’s beloved De School was announced, no hint was given toward what sort of set he would play, and I jumped at the opportunity to watch these curtains being drawn back first-hand. The early vibe at De School was joyous, as friends embraced in the coat check line and shared their enthusiasm for the night’s lineup. 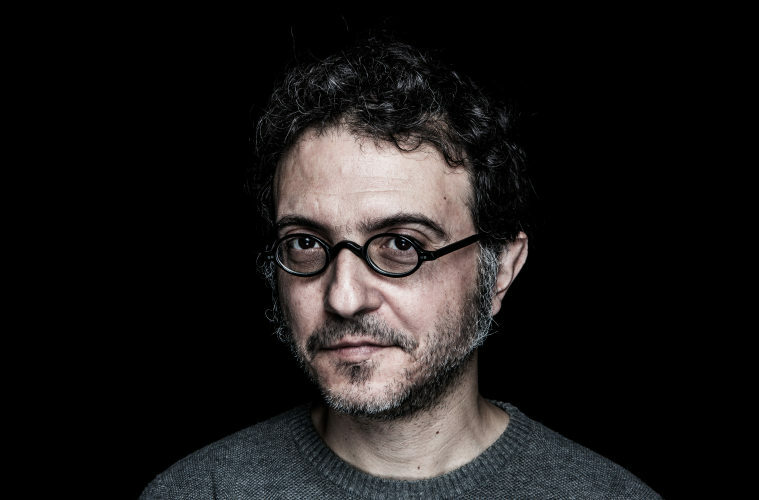 Even Amsterdam, a dance music mecca with close ties to the artist via collectives such as Dekmantel and Konstrukt, is lucky to host a Donato Dozzy appearance more than once per year. Following a last-minute withdrawal from this year’s edition of Dekmantel, anticipation for the artist was at its peak and the die-hard fans were out in force. Italy’s Paquita Gordon kicked off the evening, and within one hour of opening she was driving up the energy of De School’s basement, pacing a slew of Detroit-leaning techno upwards of 130 BPM. It was a curious choice of direction, one which felt surprisingly conventional for the night’s proceedings, and a portion of the crowd seemed ambivalent in response. For what it may have lacked in finesse, Paquita’s opening volley demonstrated an impressive technical ability, mixing records with effortless flair. The CDJs were turned off for good measure. Once Dozzy took over, it was immediately apparent that Club Dozzy was behind the wheel (in lieu of Alternate Cuts Dozzy, or perhaps Ambient Dozzy) and within moments the dance floor was charged and moving. Dozzy launched immediately into a barrage of low-slung, syncopated rhythms and tribal percussion, punctuated by the occasional crowd favorite such as Evigt Mörker’s electrifying Flamman Stiger. Dozzy’s mixing was smooth and rapid, although the progression of his early selections felt a bit unfocused, as if he was feeling out the crowd and testing it from pace to another. Halfway through his set, something changed in the air as the familiar sounds of Forest Drive West’s Persistence of Memory 1 slowly came through the mix. As the track’s weighted kicks hammered home on the finely tuned Funktion-One system, the dancers were swept into a new fervor and it seemed as though the room had finally found its groove. From that point forward Dozzy’s set was focused, powerful, and euphoric, keyed in to the crowd with pinpoint precision. The remainder of the set was a showcase of techno in its many forms and decades, from deeply tribal to fiercely industrial, yet never drowsy or overly aggressive. Dozzy had his finger on the pulse of the dance floor, and matched it with perfection. As one attendee put it, “it was great to hear him show how techno should be done,” and I couldn’t agree more. As stirring as the music was, there were times where Dozzy’s performance felt at odds with the environment around us. In contrast to its high-profile status, De School’s dance floor is stark and minimal, in some ways more reminiscent of Tresor than its predecessor Trouw. A few of the more colorful moments in Dozzy’s set were constrained by the venue’s dense fog and low ceilings, forcing me to wonder how things might have felt in the open air. At other more subdued points, junctures which allowed the music to breathe, it was impossible to ignore the pervasively loud crowd chatter. As if on cue, one particularly quiet breakdown was punctuated by the piercing shatter of falling bottles, knocked over by a hopelessly drunk club-goer. Much to Dozzy’s credit, it was hard to tell at first whether the sound was simply a tongue-in-cheek sample, and if it had been no one would have batted an eye. Regardless of the crowd’s behaviour, which by several accounts was markedly toned down from the city’s norm, the dance floor was in a trance until the very end of Dozzy’s 3-hour set. And what an ending it was: Melatonin Man’s My Head Is A Tornado, via Rotterdam’s Nous’klaer imprint, a gorgeous composition of lush arpeggios and rousing breakbeats, and a knowing nod to the Dutch scene. It was as perfect a closer as I could have imagined, as monumental and genre-less as Dozzy himself, and the dance floor was rapturous in response. During Dozzy’s set, hypnotic and experimental tracks worked beautifully alongside their harder-hitting counterparts, a harmony that feels all too rare. Often these two sides of techno seem to operate at odds, as if to please the “heads” and the “crowds” but never both at the same time. In contrast to Dozzy’s set, Paquita Gordon’s 3-hour closer was an onslaught of aggressive techno which provided barely a moment to breathe. For Gordon, a talented artist who has made a name for herself with her wide eclecticism and endless crates, the set seemed like a pointed choice to appease a different type of dancer, or perhaps showcase another side to her record collection. It’s hard to say it worked for the entire audience, many of whom retreated upstairs to round out the evening. On the other hand, it felt much more in line with De School’s regularly scheduled programming, and sustained the energy of a small but dedicated group until the very end.